Just wanted to confirm that we will watch the Ireland vs. England game in James Hoban’s in DuPont Circle, despite the $20 charge, by popular vote (democracy, yay!). Game starts at 11:45am, so if people were able to get there early & save a table that would be great! 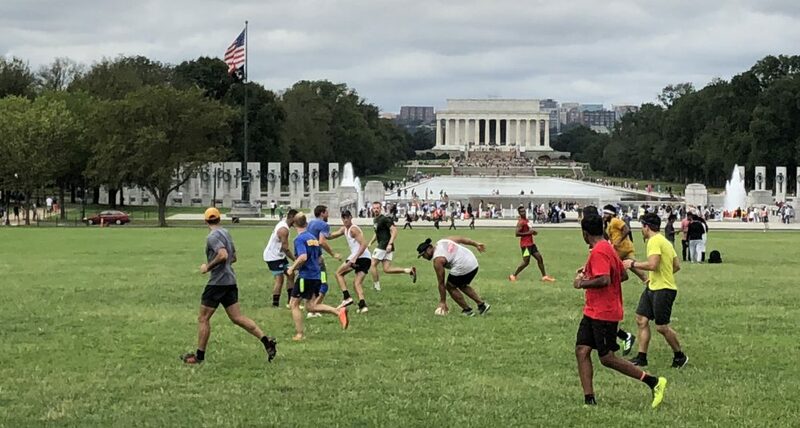 For those who want to play beforehand, let’s meet in the same spot as last week, 17th & Constitution, 9am (we’ll play until ~11am). If anything changes I’ll let you know. Can’t make the viewing at Hobans because of Morris Dance event. But will try to make touch. Happy St Brigid’s Day, Georgia! Given this is after the event, I’m not certain how many will see this comment. I’ve been having an incredible weekend, and you folks are a big part of it. Thank you.